Icy sidewalks are no match for you! Snow and freezing rain can quickly turn your sidewalks into a hazard; keep your family safe with a plan and some handy products. A drop of a few degrees can quickly make sidewalks icy, creating a hazard for family members, delivery people and you. Avoid slips and falls that can result in bruises and broken bones by being prepared ahead of time. Consumer Reports (CR) recommends mixing sand with your ice melt for a dual benefit. First, the mix allows you reduce the amount of ice melt you use, which lowers the risk of damage to concrete and plants. Second, you get traction from the sand. CR advises applying ice melt in layers. Apply a thin layer before a storm and a second light layer during the storm. If you have pets, clean their paws after they’ve walked through salt. Even though some ice melts are labeled “pet friendly,” CR couldn’t confirm they really are safer for pets. You know it’s going to happen and sometimes you just can’t avoid it ­­– snow gets tamped down by foot and car traffic, the temperature drops and it transforms into ice. And you’re stuck having to shovel it away. Shoveling is a hard work; shoveling with the wrong shovel makes it miserable. You want a handle that’s a comfortable length for your height. If you’re tall, a short handle will force you to bend and strain your back. If you’re short, a handle that’s too long will be clumsy to handle. 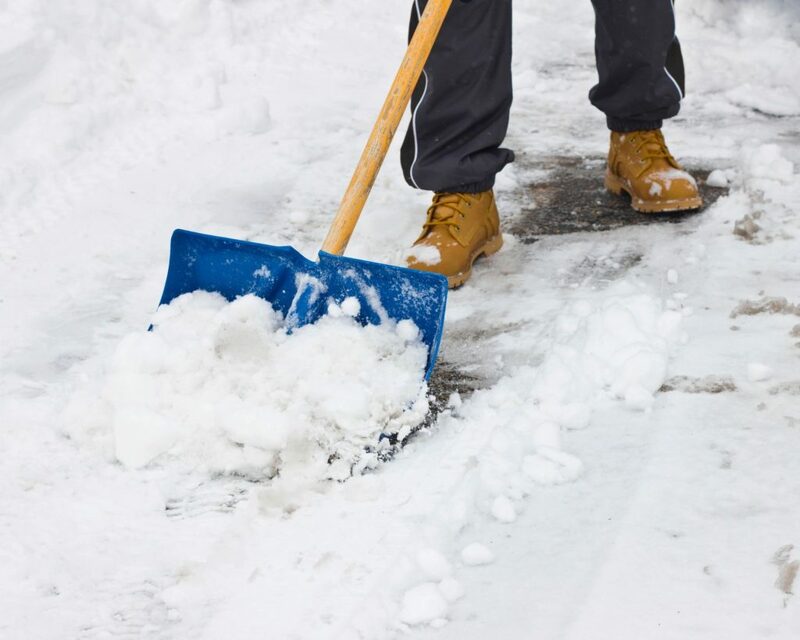 Test out shovels in the store before you buy one by going through the motions you would if actually clearing snow. Bigger is not necessarily better here. A bigger shovel blade will move more snow and ice but it will be heavier. Check out Wirecutter’s recommendations for snow shovels, including a second handle attachment to make the work easier. An electric snow melting mat is a good option for places where ice tends to build up. They’re also good for people who can’t physically get out to clear the walk. HeatTrak makes mats in several lengths, including stair-sized mats, that can be linked together. Install these before a storm hits. Anyone who uses a cane or crutches can navigate ice and snow more safely with a simple $10 attachment. Mabis DMI makes a five-prong device that attaches to the bottom of a cane or crutch. Flip the prongs down for stability on the ice when you’re outside; flip them up when you go inside. With a plan and handy products, you’ll keep everyone safe—no matter what kind of freezing precipitation Mother Nature doles out!